For more information on maturity vs break tests, click here. 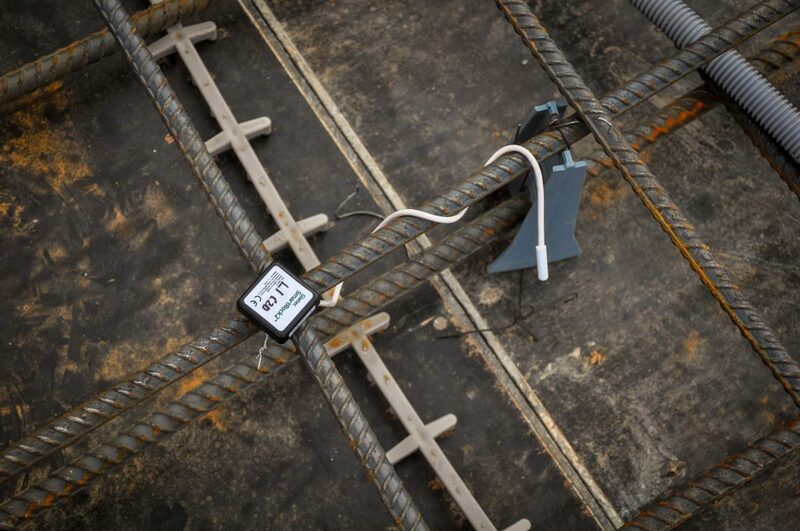 SmartRock2™ can be easily placed in the concrete formwork (installed on the rebar) before pouring to monitor the in-situ temperature and maturity of concrete according to ASTM C1074. 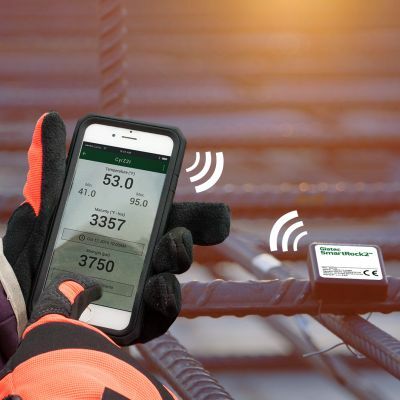 The continuous measurements are recorded on the SmartRock2™ memory and can be downloaded and analyzed onsite at any time during the concrete setting and hardening using the free Android/iOS mobile apps on a smartphone or tablet device. 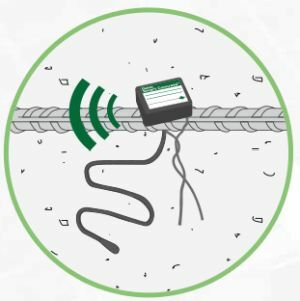 With the continuous concrete temperature monitoring of the SmartRock2 sensor, concrete strength and maturity is automatically calculated. 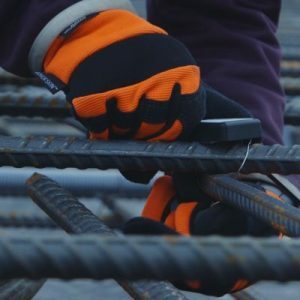 This allows you to more efficiently schedule construction operations such as formwork removal, saving you time and money. 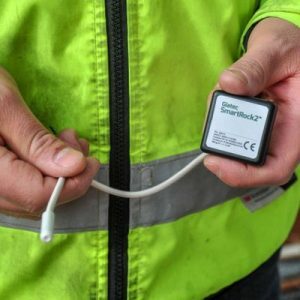 The hassle of connecting to wired data loggers are a thing of the past. With the wireless abilities of the SmartRock2 sensor, any colleague with a smartphone can visit site and instantly share concrete sensor data with the team. 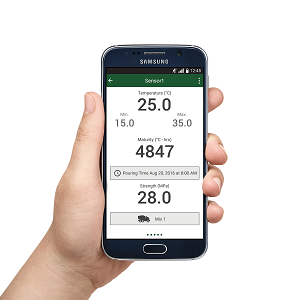 Full PDF reports generated in the app save significant time in the post-processing of data. 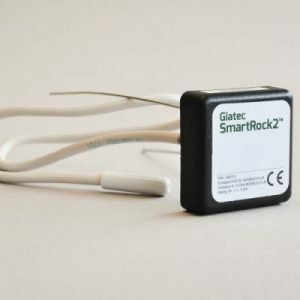 Easily monitor sensor data wirelessly using the SmartRock app on a smartphone or tablet. 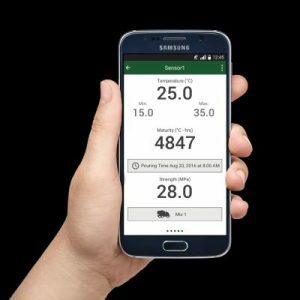 Sensor data is automatically shared and updated across your teams devices, ensuring everyone has the most updated results. 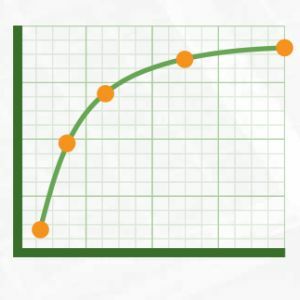 Using the ASTM C1074 standard for maturity-based strength, SmartRock2™ can accurately estimate the strength of concrete over time. 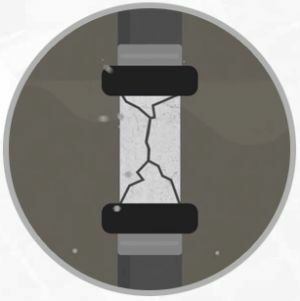 *The recommended depth for embedding the transmitter part of the sensor in concrete is 5 cm (2 inches). Within this depth, the user can communicate easily with the sensor at a distance of about 8 meters. 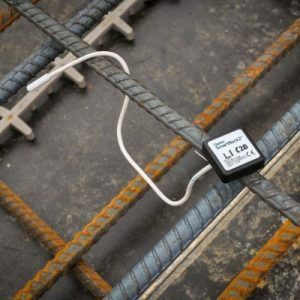 The temperature sensor extension cable [40 cm (16″) long] can then be placed anywhere within the concrete element.